We all know that exercise is good for us and something we should incorporate into our lifestyle for good health. However, oftentimes we struggle with fitting exercise into our busy routines. Maybe you’ve been telling yourself that you’ll start as soon as you get through this stressful work project. Possibly you haven’t found a type of exercise you enjoy. Or perhaps you’re recovering from an injury or haven’t gotten back into your exercise routine. Whatever your excuse, today is the day to start working out! The benefits of aerobic exercise extend far beyond just losing weight or achieving the perfect beach body. From boosting happiness and improving cognitive function to improving sleep and helping you live longer, regular exercise is an important key to living a healthy, balanced life. Below are some reasons why you need to incorporate exercise into your busy lifestyle. Increases Happiness – When you workout, chemicals known as endorphins are released. Endorphins are your own natural opiates, the most powerful pain killers and mood elevators known. This is part of the explanation for the feeling of a ‘runner’s high.’ So in the most basic sense, regular exercise can make you feel happier. Lowers the Risk for Cardiovascular Disease Naturally – In general, exercise provides multiple benefits for cardiovascular health. Regularly getting your blood pumping improves oxygen uptake, increases insulin sensitivity, improves lipid profiles (raising HDL and lowering triglycerides), lowers blood pressure, reduces platelet aggregation, increases fibrinolytic activity (anti-clotting activity), improves cardiac function, reduces inflammation markers, prevents obesity, and improves psychological function. That’s quite the list of heart healthy benefits! Improves Cognitive Function – Exercise boosts your supply of a vital brain repair compound known as BDNF (brain-derived neurotrophic factor). BDNF is a powerful protector of brain cells and stimulator of new brain cell formation, factors that have a direct bearing on your mood and preservation of your brain’s function. Provides a Sense of Accomplishment – Setting workout goals, whether you are training for your first 5K or making a point to walk for 30 minutes three times per week, gives you something to strive for and helps to keep you on track. Additionally, if you set goals and reach them, it will boost your confidence and sense of accomplishment. You’ll get to experience the power of goal setting along with reaping the benefits of exercise! 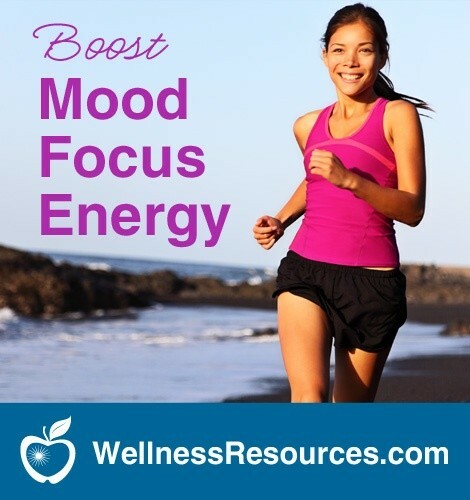 Provides Energy/ Immune Boost – While it can sometimes be quite tempting to roll over when the alarm goes off and stay in bed for a few extra minutes, or plop down on the couch after a long day at work, getting your body moving can be an excellent way to fight fatigue and have a positive impact on your mood. As an added bonus, exercise can also help to flush bacteria out of the body, giving the immune system a boost. All the benefits associated exercise routine makes it hard to deny that a workout routine should be part of your lifestyle. So what are you waiting for? Get moving and start feeling better today!